The beautiful game or the cheating game? 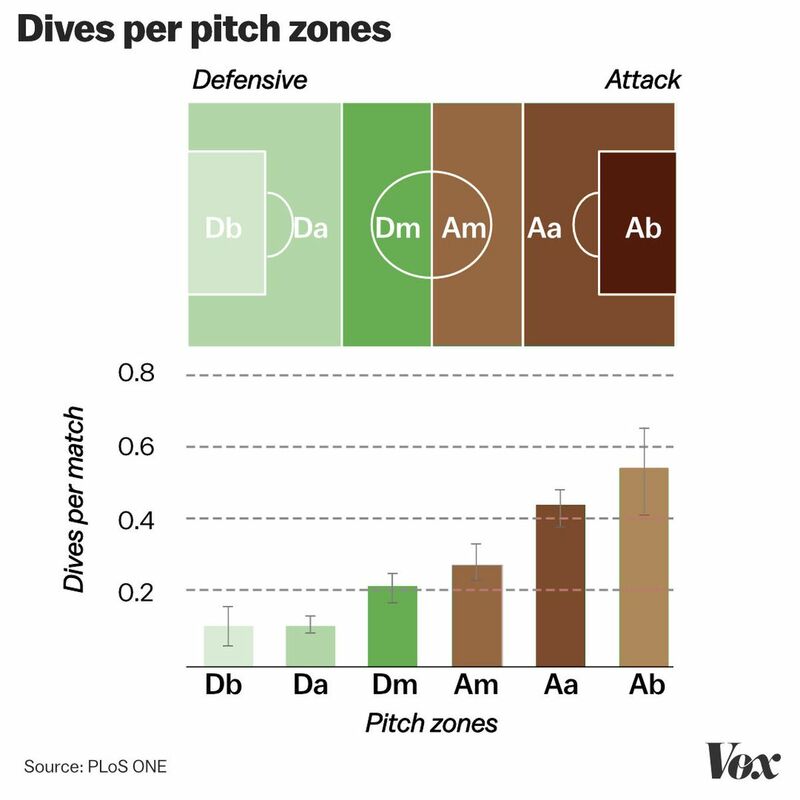 Vox staff writer Umar Irfan offers this excellent analysis of why soccer players take dives–and why most of these fake falls and feigned injuries occur in the penalty area. In two words: cheating pays! Our position is that players who take dives–like Neymar, the notorious diver of the Brasilian National Team–should be red-carded straight away! Very interesting. Never followed soccer. It is cheating. The writhing dives are an evolutionary response to the rules and how they are “enforced”. The dives are successful in an evolutionary sense, so until the football/soccer “environment” punishes that behavior, it will continue. It is amusing to watch. When, I wonder, will soccer teams emulate NFL teams and do choreographed goal celebrations involving dice-throwing, dances, etc? It’s only a matter of time.